Now with Black Box! A new generation of Talon is here. 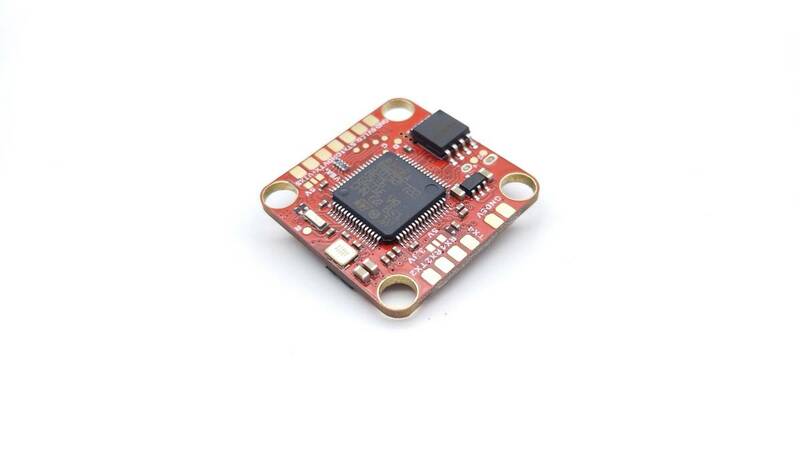 With a F7 processor and 8S capable, Talon is the only 20X20 on the market with a STM32F722RET6 216MHz processor. 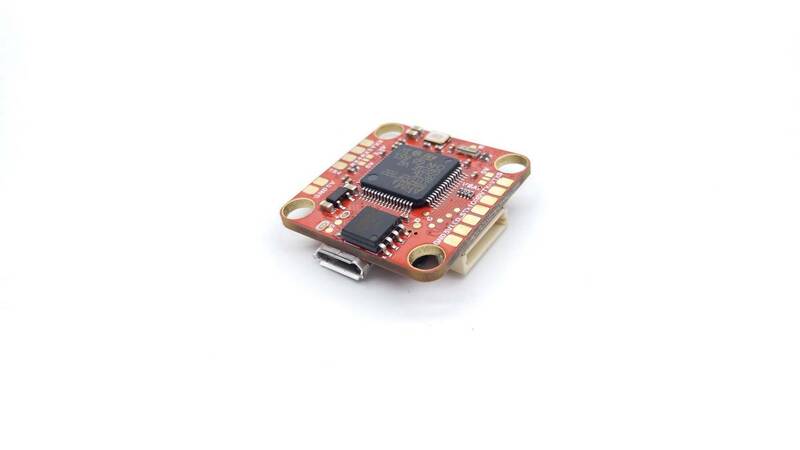 Built in Betaflight OSD, 6 UARTS, and dedicated LDOs for cleaner gyro and OSD signals makes Talon F7 the most powerful 20X20 FC on the market. 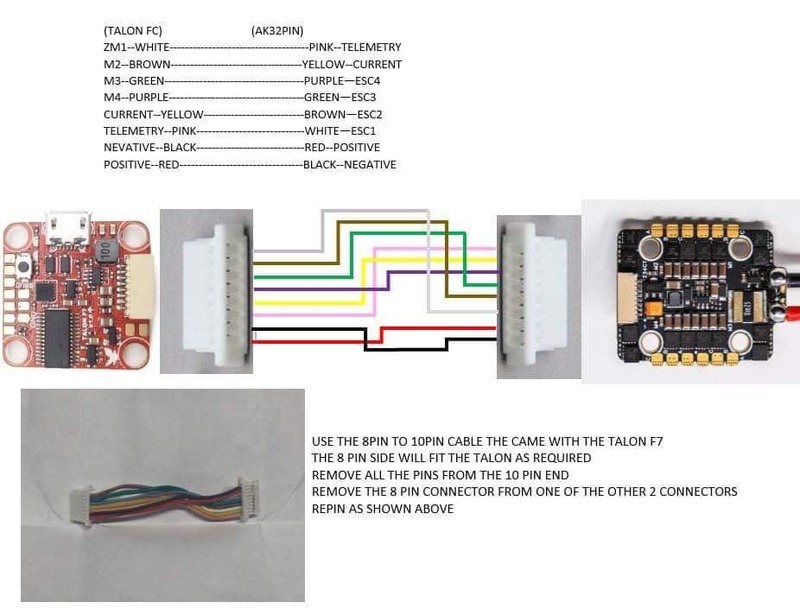 One of the features Talon F4 users praised is the choice of using the 8 pin harness or direct soldering motor ports to the ESC. We’ve kept that option, while still adding more features, by letting you remove the plastic connector to reveal motor ports. 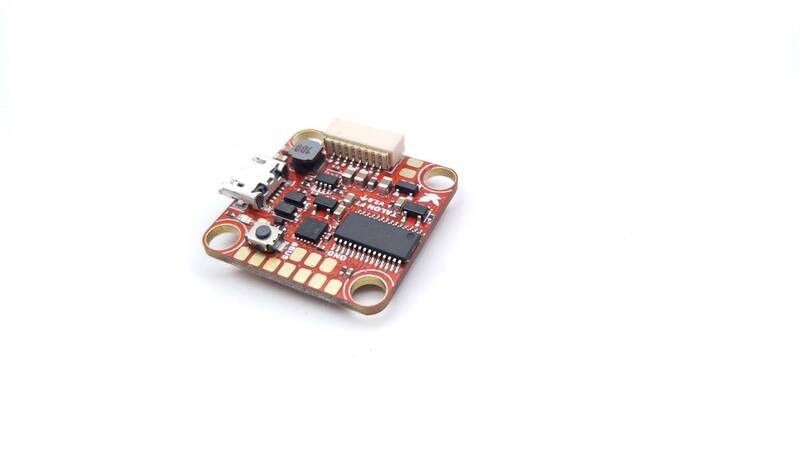 Now includes 2 harness cables for direct pin to Spedix GS25A and Airbot Ori32. 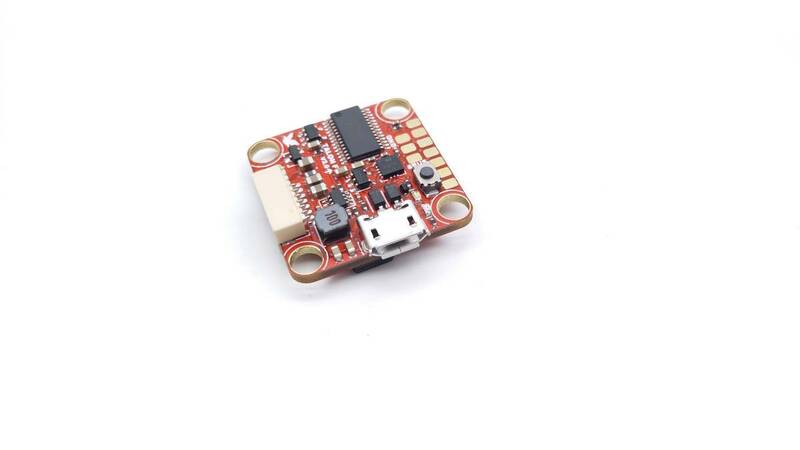 The included Aikon harness is for the Aikon AK32 30X30 ESC. This was a mistake by us and we are very sorry. 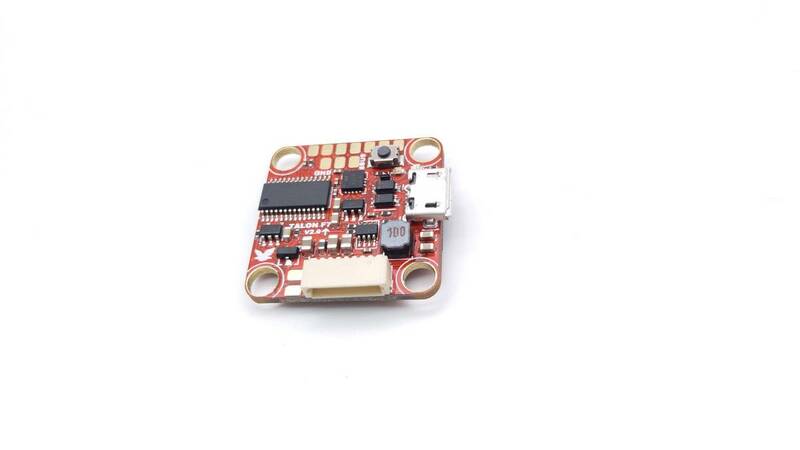 Please re-pin for the 20X20 Aikon AK32PIN as pictured below. WARNING! 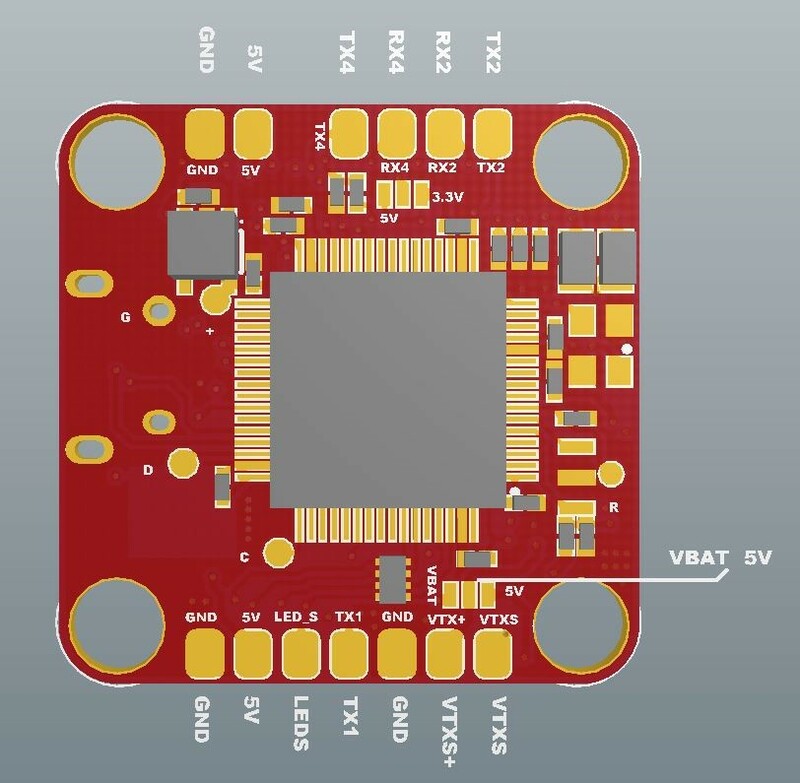 If you remove the JST connector to direct solder, the pinout is not the same as the JST connector. Please use the diagram below to see the correct pinout. Please pay attention to VBAT and Ground!